I was just nominated by Diana at Hiit Mom as a Very Inspiring Blogger! Thank you, Diana! Have you been to Diana's blog? I love the layout and she is so sweet! 1. I am a worrier. I worry about things I cannot control. I hate this about myself. For instance, with the new experience of coaching track - I am constantly worried about what the other coaches think of me and my inexperience. Am I messing up too much? So much to learn! 2. I am taking the plunge and teaching full on regular education High School Math this year. No longer will I be a Special Educator. While I'm super excited by this career move, I am a little nervous, as I've never taught an honors level class before! Again, I am very excited by this new role. 3. I've been talking about getting that 26.2 tattoo, but haven't done it yet. I cannot seem to make up my mind where it's going and when to get it done. Someone just schedule it for me. 4. I now want a nose ring. I've never been interested in this before, but have been obsessing about it all summer. Again. I probably won't do it because I'm chicken and I'm sure I cannot take my kids with me. 5. Tonight I went out to dinner with the husband for our 13th wedding anniversary. I cannot believe we've been married for 13 years! Wow, we are so old. 6. Our son, Tucker, was due on our 2nd wedding anniversary, but came a bit late. 8 days to be exact, via c-section because induction didn't work and I wasn't going home without a baby. He'll be 11 next Tuesday! 7. And my baby, Izzy, is staring kindergarten in the fall. Oh many time flies by so fast! 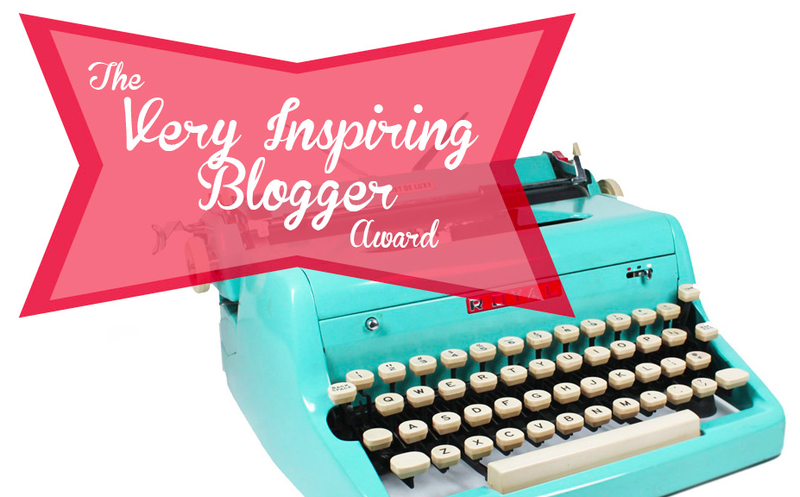 Now I get to nominate 15 other amazing blogs and comment on their blogs to let them know you've nominated them and provide them a link to your post. I don't expect my nominated bloggers to participate. I just find you to be inspiring! But if you do participate - tag me! I'd love to read about your 7 facts! Thanks for the nomination Jen! I am a big worrier too:/ Wish I was better about that;) I have 2 tattoos and want one removed:0 but if my family approved I would get more:) Happy Anniversary! Thanks for the nomination! Happy anniversary!!! 13 years is amazing :) We just celebrated our 5th - it's amazing how quickly time flies! Congrats on your new job, that's exciting! I enjoy these types of posts b/c you can learn more about the blogger behind the blog. I look forward to reading the posts from those nominated!